Yakuza 0 (game, 2015). An action-adventure video game. Developed by Sega CS1, SEGA, Ryu ga Gotoku Studios. Official Trailer. Yakuza 0 is an action-adventure video game, developed by Ryu ga Gotoku Studios, Sega CS1 and SEGA. 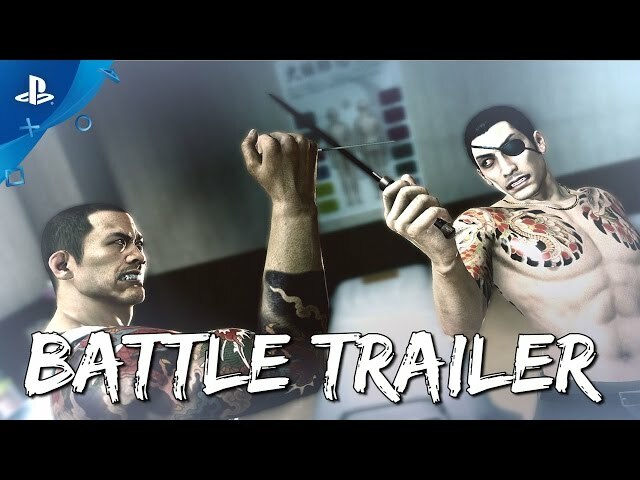 Yakuza 0 - Battle Systems Trailer | PS4. 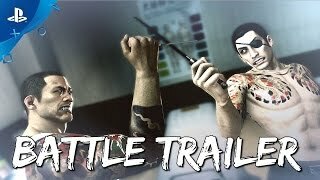 In December, 1988, two unlikely figures from the Yakuza world, Kazuma Kiryu of the Kantō region and Goro Majima of the Kansai Region, have suddenly found themselves getting involved in the terrible events of the so-called "Empty Lot" dispute, which is the centerpiece of power struggle for all the dark organizations across Japan. In order to find out the truth behind such a power struggle, as well as maintain their own innocence and safety, they set out to investigate all the events surrounding the Empty Lot incident. In Kamurocho, Tokyo, Kiryu is suspected of murder after the man that he has collected money from winds up dead in the Empty Lot. Kiryu's boss, Sohei Dojima, offers a promotion to second-in-command of the Dojima Family to whomever can find the deed to the land, and thus the most ruthless members go after Kiryu. Forced out of the family, Kiryu meets a man named Tetsu Tachibana, who owns a real estate company and promises to help Kiryu clear his name. Kiryu learns that Tachibana was hired by his then-incarcerated foster father, Shintaro Kazama, in order to assist him in preventing the Empty Lot from falling into Dojima's hands. While waiting for Tachibana to gather information about the lot's owner, Kiryu is hired by Tachibana as a real estate agent. Kiryu's involvement with Tachibana Real Estate causes him to be targeted by members of the Dojima Family, particularly his three lieutenants: Daisaku Kuze, Hiroki Awano and Keiji Shibusawa. Kiryu decides to sever ties with his associates, including his oath brother, Akira Nishikiyama, and Kazama Family's captain, Osamu Kashiwagi, in order to protect them from Dojima's wrath. After a brief showdown against Kuze on the streets of Kamurocho, Kiryu is rescued by Tachibana, who later reveals his true identity as a former Chinese mafia member. Tachibana later takes Kiryu to the Tojo Clan's headquarters, where they negotiate with the Acting Second Chairman, Takashi Nihara, and reach an agreement to protect Kiryu from the Dojima Family. Later on, Tachibana reveals to Kiryu the identity of the Empty Lot's owner: a psychologically-induced blind woman named Makoto Makimura, who resides in Sōtenbori, Osaka. Yakuza 0 is an action-adventure game set in an open world environment and played from a third-person perspective. The game takes place in December 1988, in Kamurocho and Sōtenbori, fictionalized recreations of Tokyo's Kabukichō and Osaka's Dōtonbori areas respectively. The player controls series protagonist Kazuma Kiryu and recurring character Goro Majima, alternating between the two at predetermined points during the story. Yakuza 0 was scheduled to be released on March 12, 2015 (Japan), on May 14, 2015 (Taiwan), on January 24, 2017 and on August 1, 2018. This video game is available for the following platforms: PlayStation 3, PlayStation 4 and Microsoft Windows.